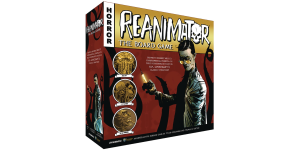 In our ReAnimator review, we take a look at a cooperative storytelling game in which you are trying to help a mad scientist perfect his reanimation serum. 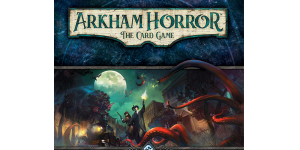 In this Arkham Horror: The Card Game review, Sarah from Nerdling Mum takes a look at a cooperative living card game from Fantasy Flight Games! 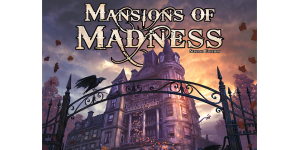 In this Mansions of Madness: Second Edition review, Ryan States of Laird Ryan States takes a look at a popular cooperative horror game from Fantasy Flight. In our Elder Sign review, we’ll give you our thoughts on this very popular dice rolling game from Fantasy Flight Games! If you’re an H.P. 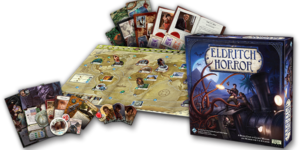 Lovecraft fan or are looking for a solid cooperative horror game, you will definitely want to take a look at our Eldritch Horror review! 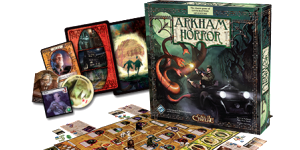 In our Arkham Horror board game review, we take a look at a very popular cooperative adventure game set in a universe created by H.P. Lovecraft!